Disclosure: I received the saw for free to review, but all opinions and words are my own! 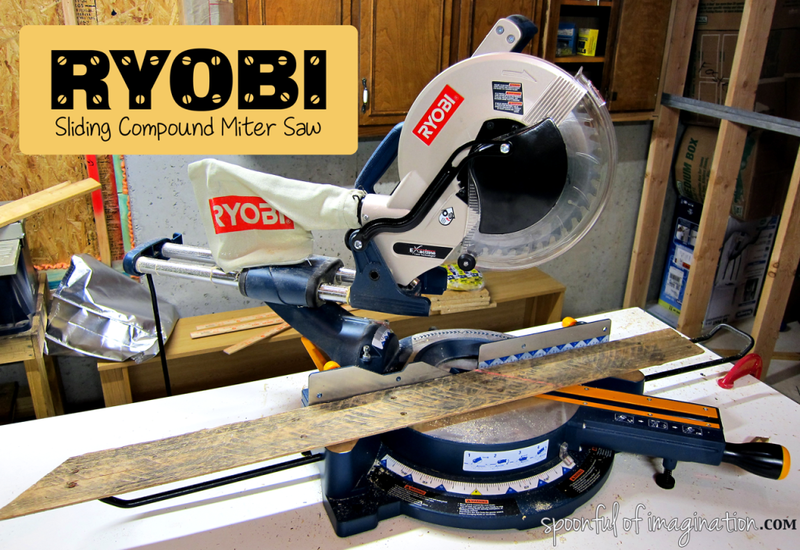 I really do love this Ryobi Sliding Compound Miter Saw! I have a tool in my life that I am quite giddy about. I am now the proud owner of a Ryobi Sliding Compound Miter Saw. The world of new projects and potential by having this saw is flooding my mind. I already have a specific miter saw to do list a mile long. 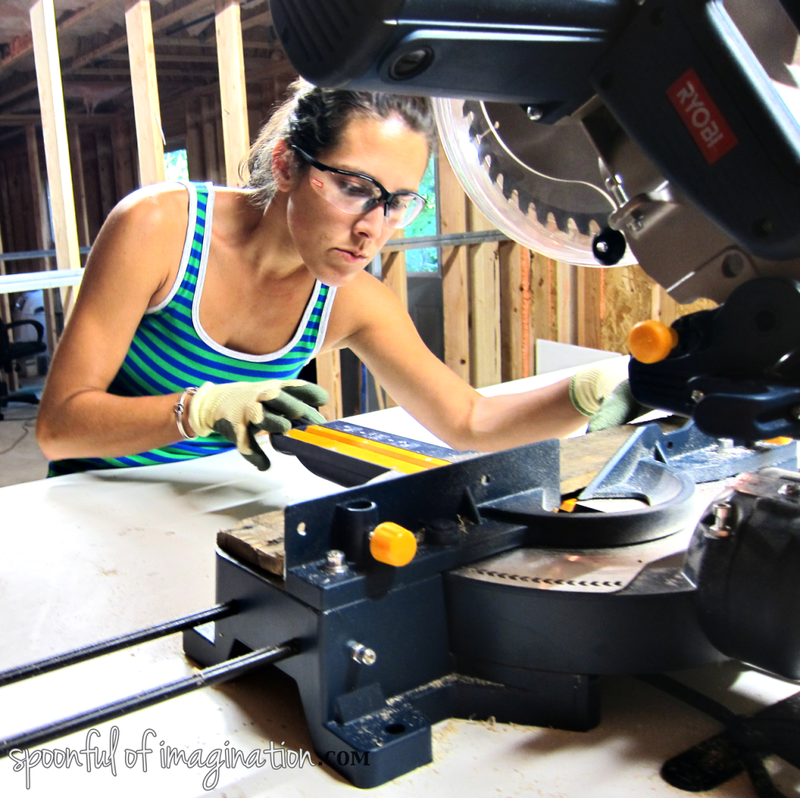 A new entertainment center, a bunk bed, a dinning room table, and a pallet planked wall are just a few of the coming projects that we will be tackling and sharing along the way because of my new saw! I must first say that I have always been afraid of power tools, especially saws. When the saw came I knew that I needed to get comfortable with it. It was time to conquer my fear and try something new that would stretch me. Although working with wood is no new task for me, being the one to make the “cuts” would be. I typically design, measure, and attach all my wood pieces but bribe my husband or brother to make cuts for me. Instead of just starting to get used to my new saw by cutting boards, in total Erica fashion, I came up with a project to try my saw out on. I literally was so scared and my heart was racing as I set it all up. I read the manual, cleared my workspace off, and tried to wear all the protective gear. Note: I forgot the mask as a newbie wood worker, but I wont forget that again! I started by cutting pallet wood, which is hard treated wood. This saw cut through it like butter! I was amazed immediately with how easy it cut. I carefully marked my wood to cut 45 degree angles, and rotated my blade to do so. The laser light helped me to make accurate cuts! There are lots of features that I love about this saw. I love the clear protective guard around the blade, the sliding bar that allows wider pieces of wood to be cut, and the clamps that allow the table and wood to be tightly held down. Those are just a few of the many awesome features! I tackled this saw and my first project with it, while my husband was out-of-town. I did it completely on my own. If I could figure it out, conquer my fear, and have my six-year-old document the process in pictures for me-you can too! I highly recommend this saw! Using this Miter saw to create something that I had pictured in my head all on my own is an awesome feeling. I did something new and am better for it. I will be sharing the full tutorial next week, but I am so excited to show you that I made this! 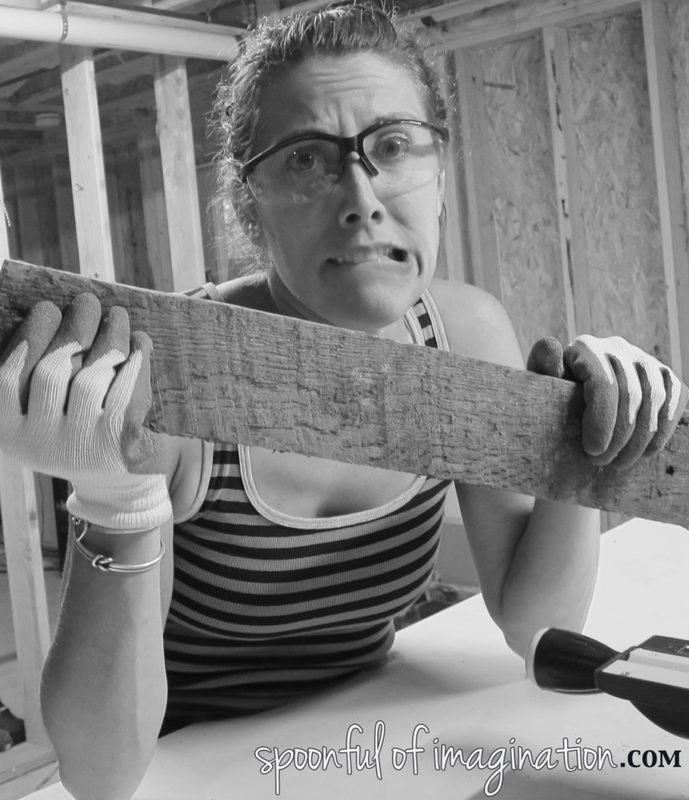 I must say, I will still be cautious (because it is a powerful tool), but as a fellow DIY blogger has said “there should always be a healthy level of fear with saws.” I would say mine is now a healthy fear. I will be cautious and slow, but the fear to turn the saw on, be intimidated, and give my “cut tasks” away is no longer there! I can do this! My world of projects and possibilities has been opened and I am so excited to use this saw over and over again. I highly recommend it! Ryobi products, like this Sliding Compound Miter Saw, are found at Home Depot. 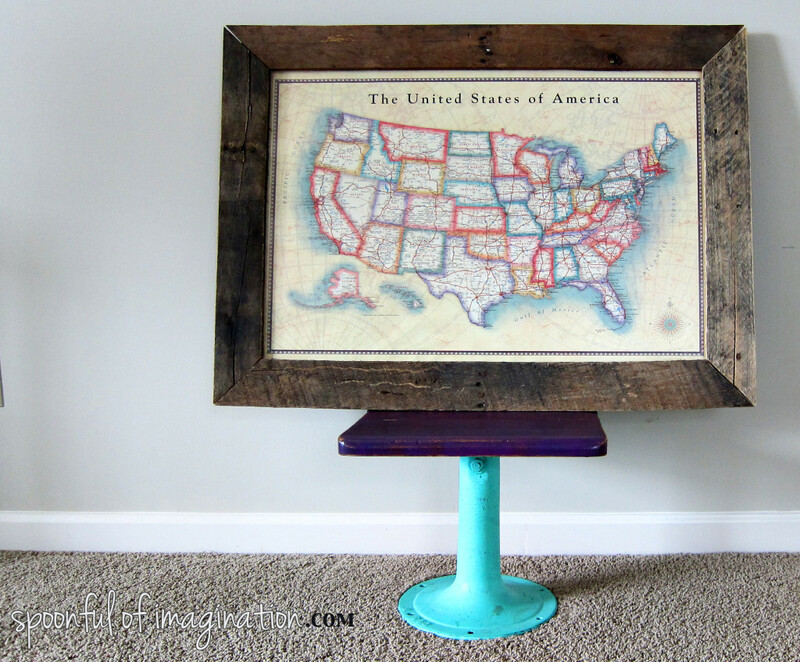 For loads of inspiration on projects and the chance to enter your own projects for prizes, visit Ryobi Nation! Yea you! So glad you got it out of the box! I bought a miter saw last year that I am afraid to use. Maybe this post of yours will convince me to give it a try. OHHHH you can do it! THe way to build confidence is to just start with small cuts that are easy projects. I built a lot of signs and now frame them and am ADDICTED to this saw. You got it!